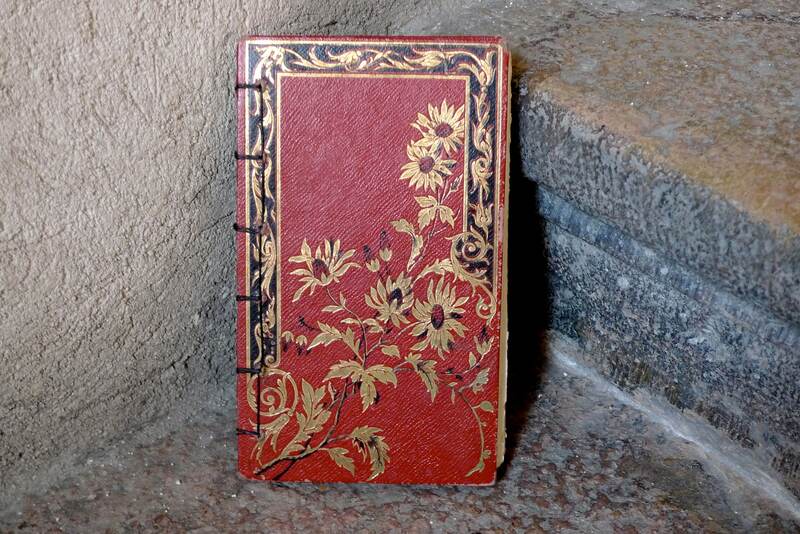 Offering unique journals and sketchbooks made from rescued antique French books. 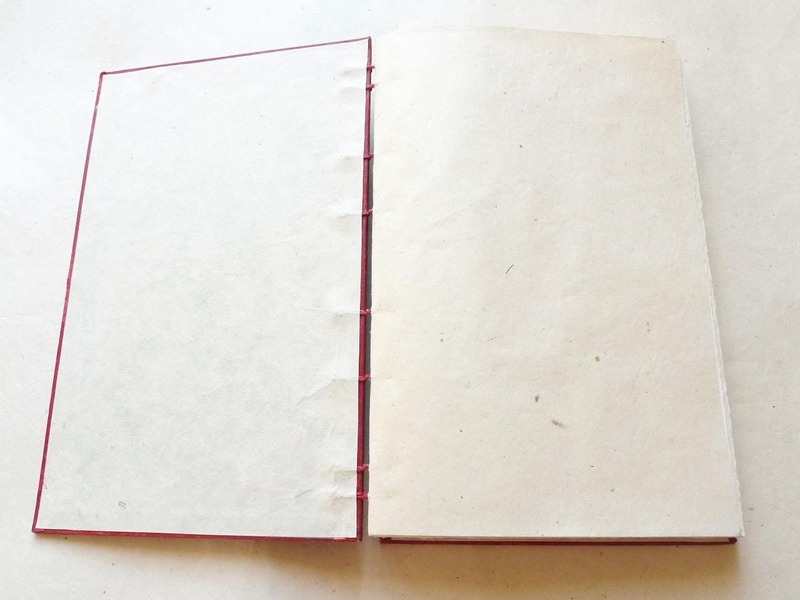 The exposed binding method allows the journal to open flat, perfect for drawing and writing. Makes a lovely gift for an artist or writer. 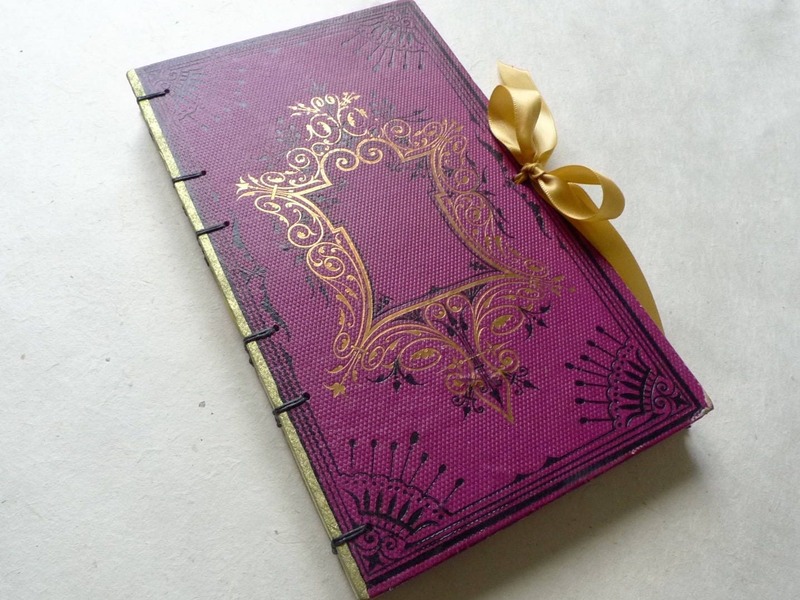 Photos show sold journals. Please read below to find out how to place an order. 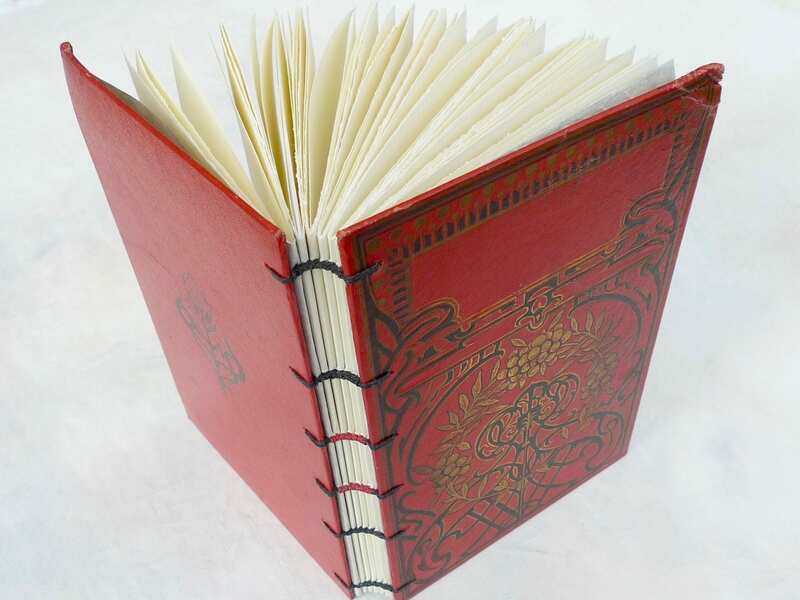 All Spellbinderie journals & guestbooks are made-to-order from authentic antique French books, not reproductions. 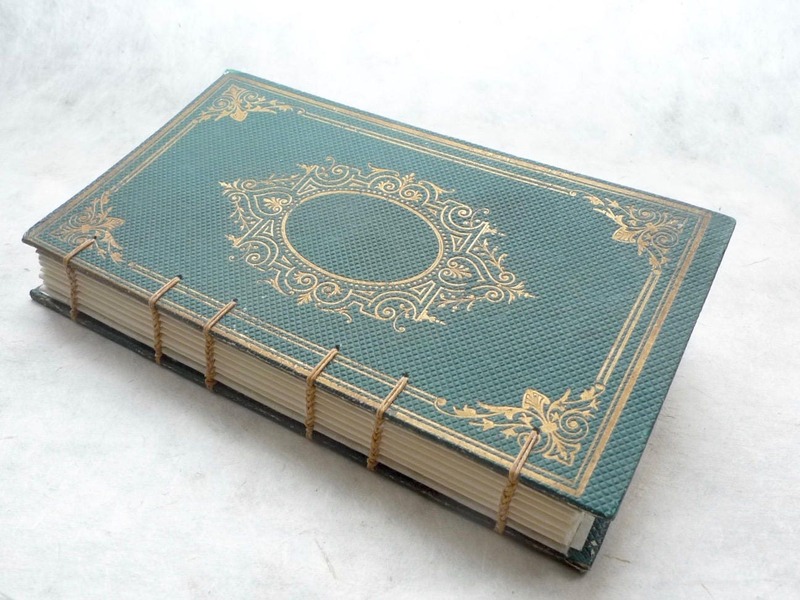 Photos show sold work, your order will be made with a different book.